After I finished language school, I filled my time with writing. I connected with a writer online who encouraged me and showed me some ways to get started with writing for websites and other publications. It was thrilling. I was in over my head, but I was learning each day. I didn’t recognize this endeavor for what it was at the time. It was an effort to validate me. My formal language training had ended, and while I did spend time chatting with my friends and neighbors, it all felt sort of empty. I had employed a nanny while I was studying language, and I did not feel right about sending her back home without a job. So I spent a couple hours each day out of her hair while she played with my baby boy, dressed him, and put him down for a nap. By this time, he seemed to prefer her over me when she was there, so I would hide out in my bedroom and write for a little bit of time each day. I didn’t know what else to do. I felt unneeded, unnecessary, and generally lonely and isolated. Writing helped. I needed it. I’m thankful for the friend that writing was to me during that time in my life, but I am also thankful that God has abundantly blessed me with various ministry opportunities since that time. I spend a few days each week with unbelievers in my neighborhood, and I spend the other days catching up on the cleaning, cooking, and shopping I’ve neglected. We are busy with our church plant and spending time with those that God has graciously brought into our congregation. When my kids get home from school, I am not distracted by the urge to write. I’m ready to be with them. I don’t feel bogged down by play time. I welcome it at the end of the day when my babies have been away from me all day. When they give in to slumber, I am available to my husband untethered to deadlines or schedules. The desire to write is ever present, but it feels less and less like a need as time goes on. My goals have not changed, but my priorities have. God’s gifts for His glory fill my time, but they don’t fill me like my Father’s love. All the things God has given me to do for His glory don’t whisper worth to my soul anymore like writing once did. I’m certain Christ is pleased with me because I am his child and he is my ABBA FATHER — My daddy. While I’ll never truly be worthy of the sacrifice He has made for me, I find great comfort in His great love for me. The things that add value to my life do not make me valued. He is my closest friend, generous in giving good things. Writing is one of them, but it does not define me anymore. It adds value to my life, but it does not give me value. When weeks pass without writing, I am not a dusty, unused vessel, I am a cherished treasure of God. I’m not done writing. Not even close, but I am done needing to do it. I don’t need to write. I don’t WANT to write. 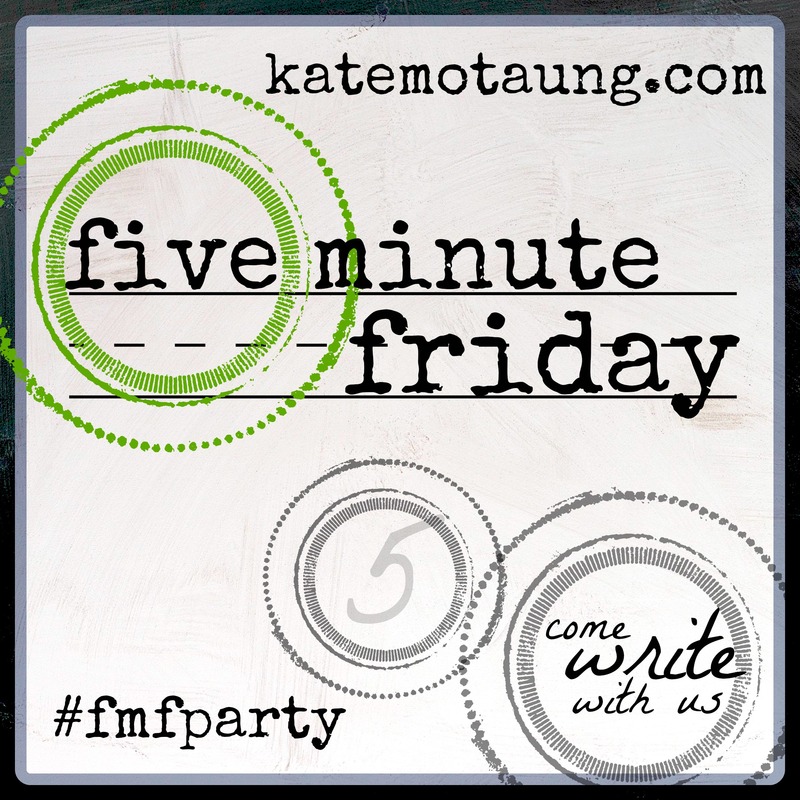 I mean, my FMF post this week is about incontinence. See my point? But I’m not the only one dealing with this s****y situation, so I guess I have to write. Not about the need to accept adult diapers, but about the need for badass attitude. Well, maybe, in context, ‘badass’ is not the right word. I get you on that. I wrote about my stillbirth in 2013, and it was the hardest thing I’ve ever done, but it seems like those posts were a source of light for others who were hurting. Keep up the good work!